Hello readers. S here. I came to Sardinia this week to eat some wild boar and nice wild fish, but it’s all gone a bit wrong. The local authorities have just placed a temporary ban on the Sardinian fleet in a bid to boost fish stocks. The harbours up and down the coast are full of idle boats, while all the seafood dishes have been scratched off the restaurant menus. Meanwhile, my beloved boar is noticeable by its absence. Every place you go, they tell you go to somewhere else where they will definitely have it. But no one does. There is plenty of donkey, horsemeat, snails (assorted types) and fried intestines available but my forays into the country are depressingly boar-free. So today I am having lunch solo at Il Castello in Sassari, the second largest city on the island, after Cagliari. 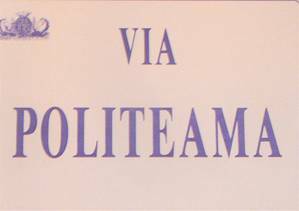 It is a very old fashioned type of restaurant, famous for its huge portions of pasta and its meat platters, including a Chateaubriand for two which is so big they have to wheel it to the table on a trolley. The restaurant has a large conservatory at the front which could do with, if they don’t mind me saying, a good tidy up and a bit of a clean. But you can tell this place is a favourite of the locals as it looks exhausted after feeding them all for several decades. It is not rustic, as such. It just looks a bit like your granny’s tired old parlour. The customers are from across the board. I mean, they take all sorts. Six businessmen eat together at one table, complete with its layers of fussy double tablecloths and knick-knacks. Other guests include families, groups of friends, some couples who have just met (I can always tell) having romantic dates, and me. The menu is short and to the point. 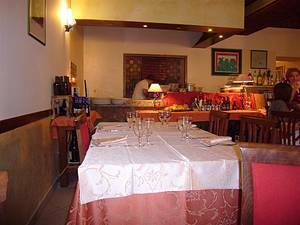 It features lots of traditional Sardinian dishes such as bits and pieces of donkey – which is sweeter than horsemeat, apparently, and held in almost totemic reverence here. To begin with I have bottarga di muggine (mullet roe) which is laid out in slices in the shape of a marijuana leaf. Why? No idea, but I suppose you have to try everything around here to keep yourself amused. It is served on some chilled celery. The icy crunch of the vegetable is the best part of this dish because the roe is nowhere near fresh enough. I mean, I know it’s meant to be dried, but there is dried and there is dried out, as I always seem to be pointing out to Jan. Anyway, it is dry tasting and spotty, which is good in a Garibaldi biscuit, but bad in bottarga di muggine. For pasta course I order culurgiones, a local speciality that could be ravioli’s big, butch cousin. It is an interesting type of fresh pasta (made with bran flour and lard), rolled out thickly then stuffed with potato and pecorino cheese, slathered with a homemade tomato sauce and more grated cheese, then garnished with the obligatory spear of basil leaf. Hearty? It’s about as hearty as pipe lagging. Even I can’t manage all my plateful. It is essentially Sardinian in a rough and ready way - exactly what you would want before heading off to scale the north face of some misty, interior mountain – but perhaps not quite the thing for the late autumn sunshine that Sardinia is enjoying this week. It’s 25 degrees out there, which is marvellous. Just not culurgiones weather. 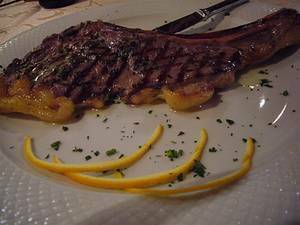 For main course I have costata di cavallo, which translates as rib of horse. Interesting. However, my appetite plunges when it arrives because my particular hunk of horse looks as if someone has already taken a bite out of it (see picture). It looks perfectly cooked, in a pinky, medium rare way and initially it tastes ok. Then a musty, horsey ancient taste takes over and sort of fills you up like mustard gas. It is strong, but not in the fragrant way of wild boar meat. After a few bites, I hand my plate back. ‘You no like horse?’ says the charming waiter. No. Am afraid I no like very much at all. I can see that I have disappointed him. In the corner, the dessert trolley lurks like a tank about to roll on to the battle field and squat on the front line until everyone surrenders. Sometimes I think we should start a campaign to clear Europe of these wooden carts. Especially if they are, like this one, groaning with a couple of factory made tarts plus the usual suspects of profiteroles, pannacotta and crème brulee. Having said that, my pannacotta is exceptionally light and delicious; the best thing I have to eat here. Later, I come back for dinner and try a pizza sardo that is nice enough, but ruined by the local salami which tastes and smells like rotting flesh. Sometimes artisans can be a little too artisanal, if you know what I mean. The restaurant has one of those complicated systems where you have to go to the till table to pay, because the waiters and barmen are not allowed to touch cash in case they bolt down the street with a stray Euro in their hand. Not a huge success. Meanwhile, yes, readers, I am lonely. Every night I dream of lovely, sparkling eyes and smooth, firm, white flesh. Oh, turbot! How I miss you.